Every year a group of high school friends get together to catch-up, enjoy some beer and… freeze their buns off. 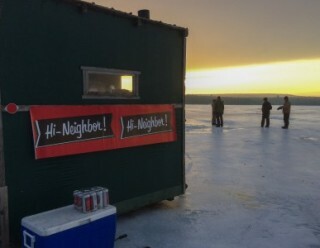 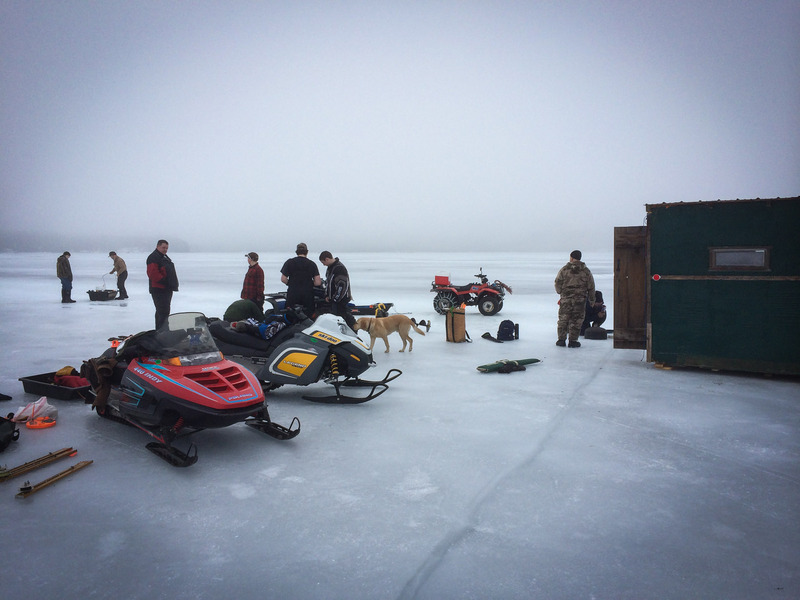 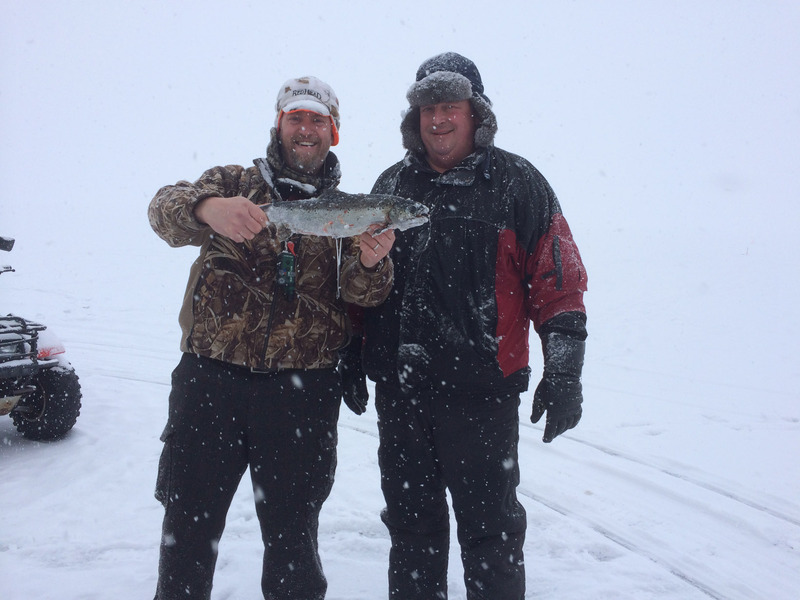 They head north to the far reaches of Maine where the lakes are frozen solid and hundreds of people partake in the age-old pastime of ice fishing. 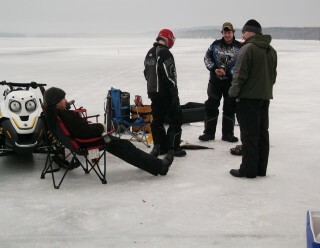 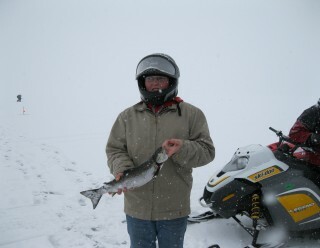 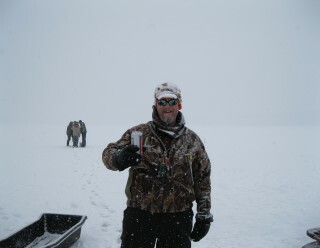 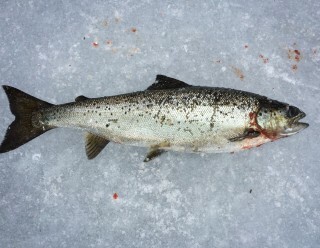 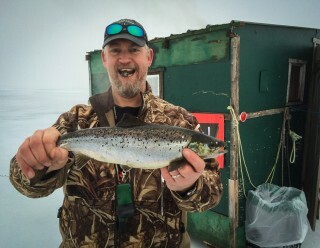 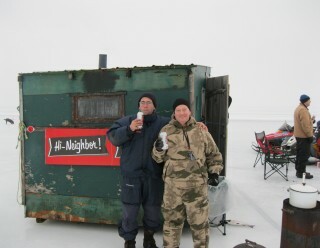 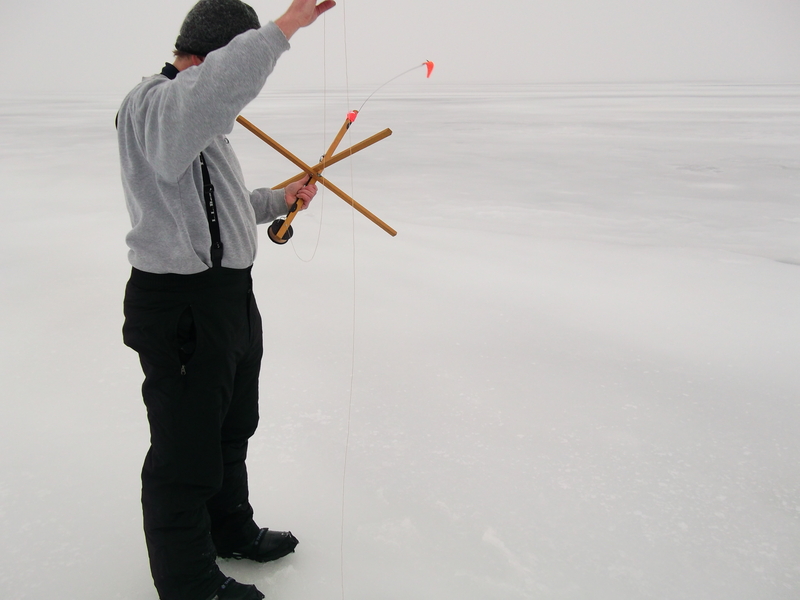 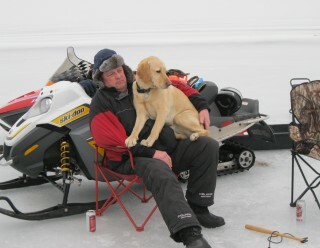 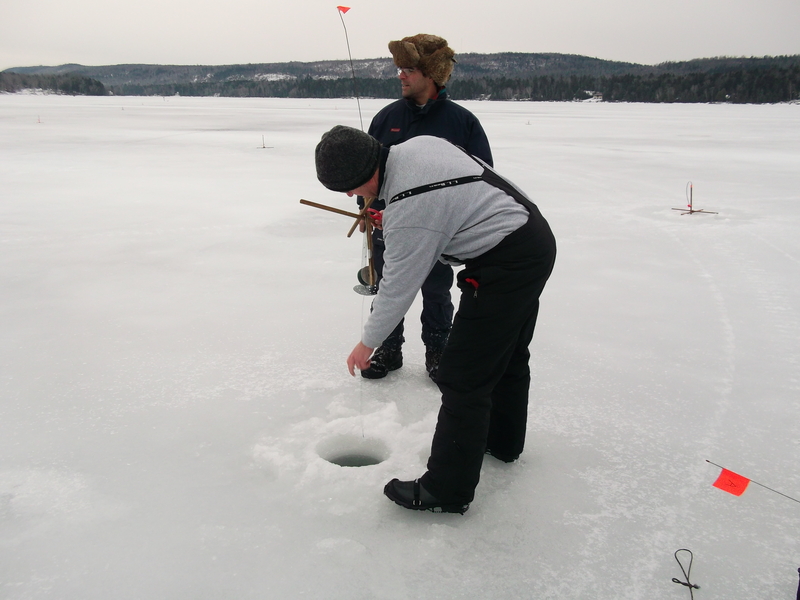 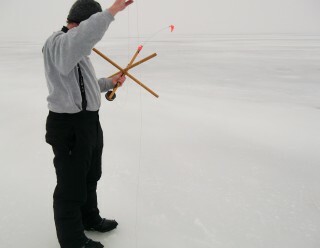 They drill a whole through the 20 inches or so of ice, drop their pole, crack a beer and wait for the fish to bite. 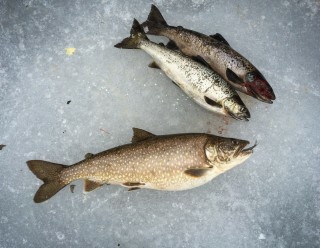 These particular friends are from Southern New England and head to East Grand Lake in Danforth, ME. 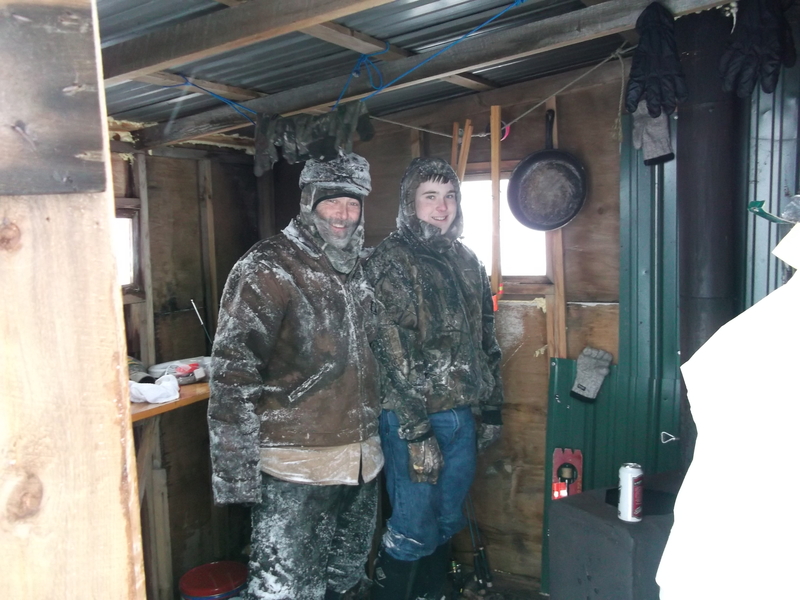 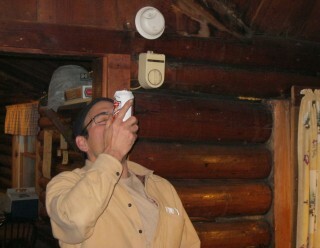 They stayed at the Greenland Cove Cabins armed with plenty of ‘Gansetts. 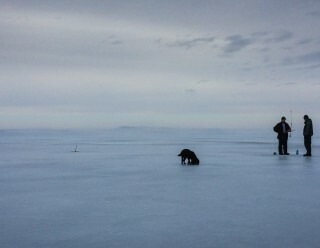 Google the lake and you’ll see how far north it is. 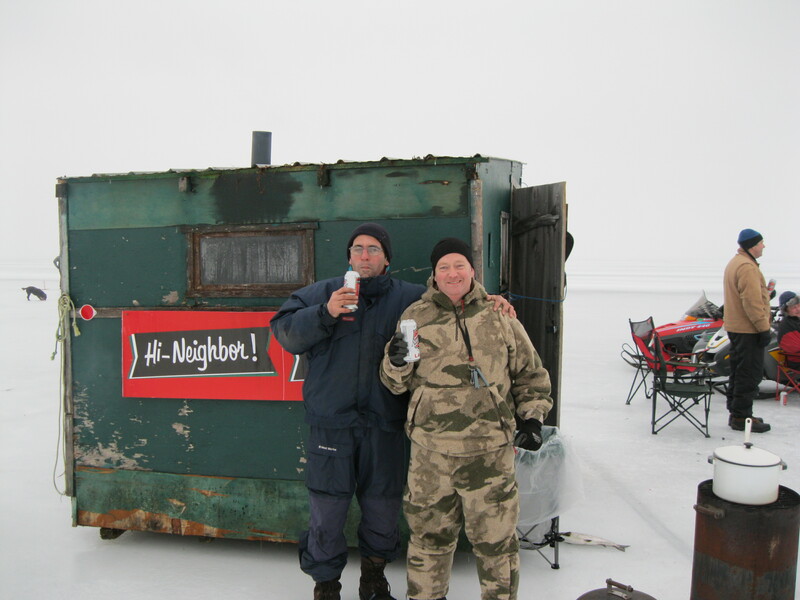 Any further and they’d be in Canada, eh. 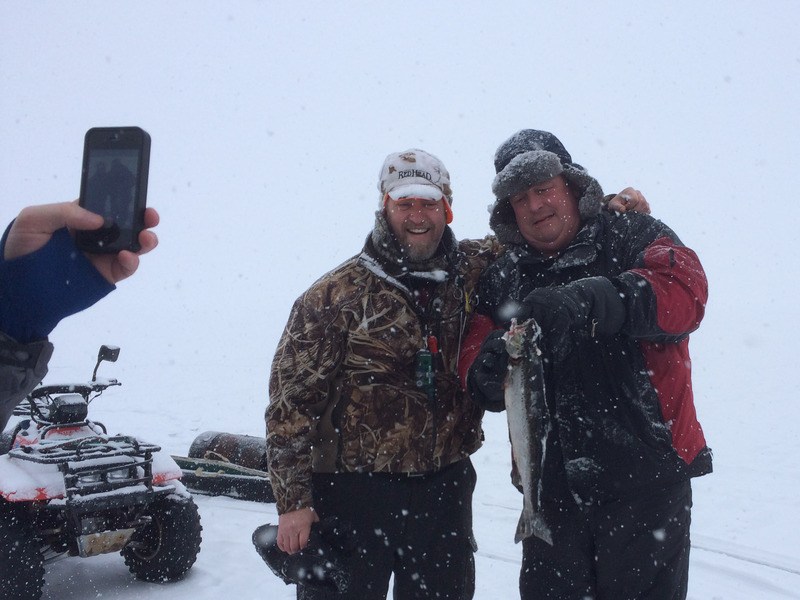 Unlike Gustafson and Goldman, everyone got along and actually caught some fish. 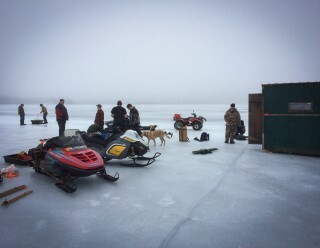 They brought the kids, two dogs, one metal squirrel target, three snowmobiles, three ATVs, and a lot of smoked meat. 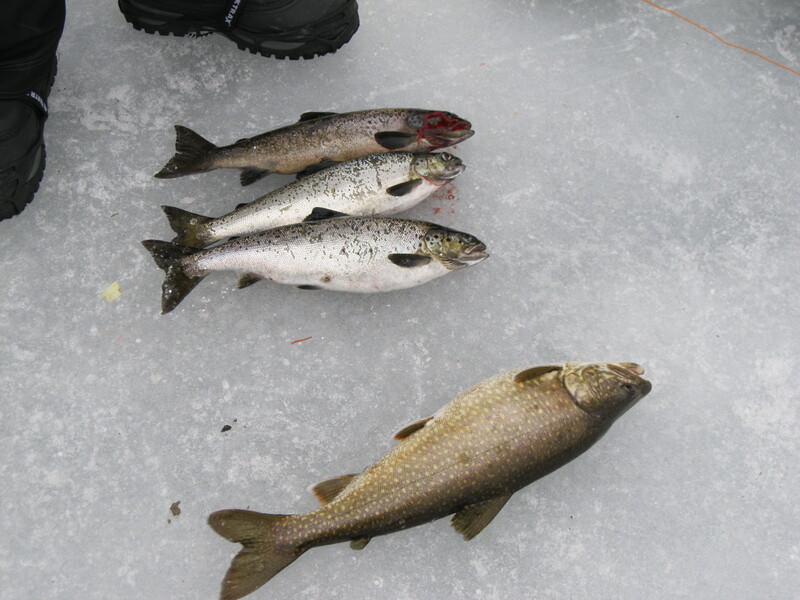 They caught salmon, lake trout, and cusk. 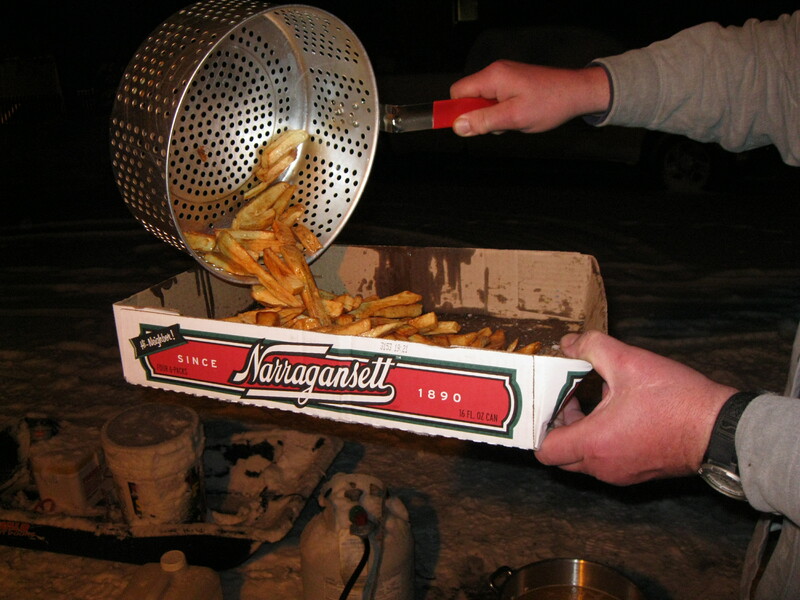 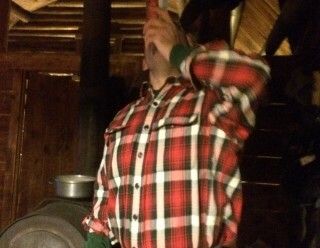 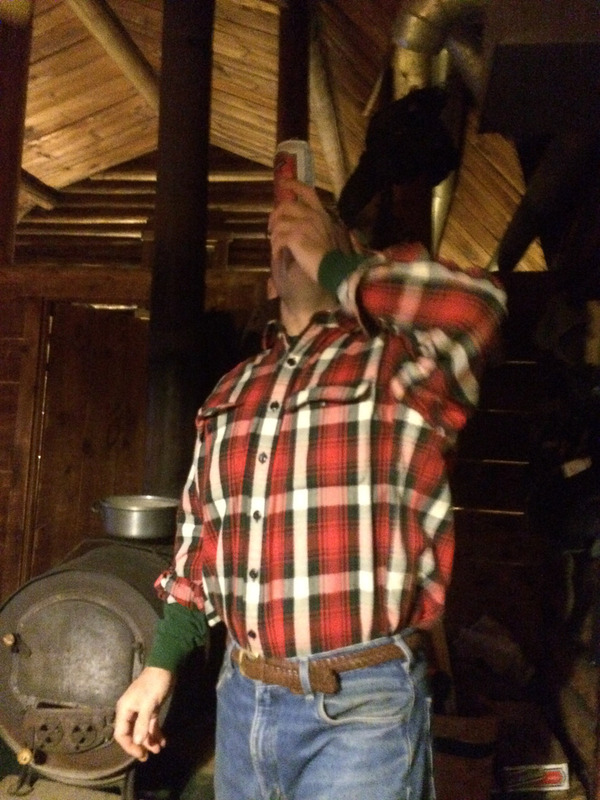 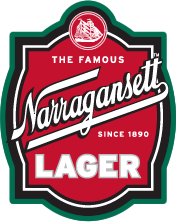 Then enjoyed a nice fish fry paired with ‘Gansett beer right on the ice and also fish and chips back on land. 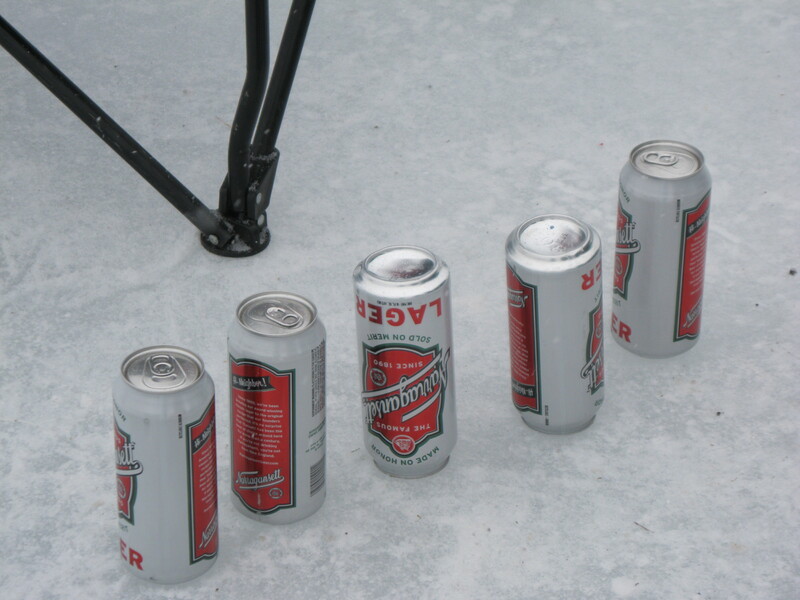 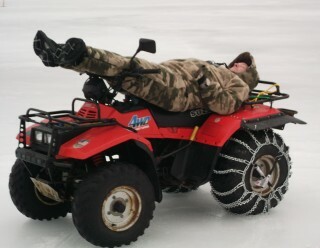 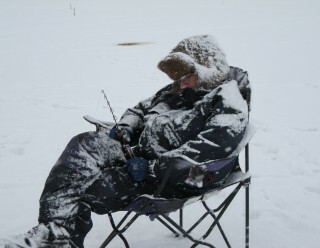 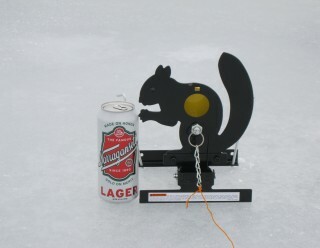 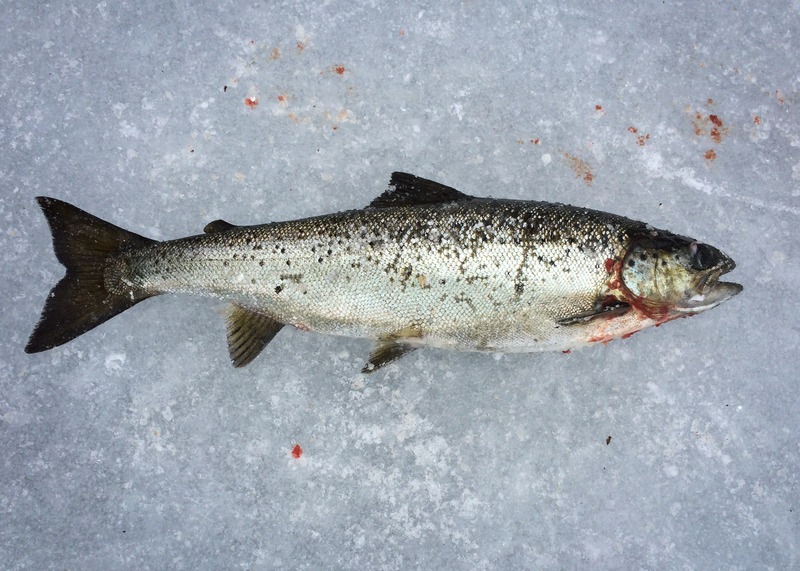 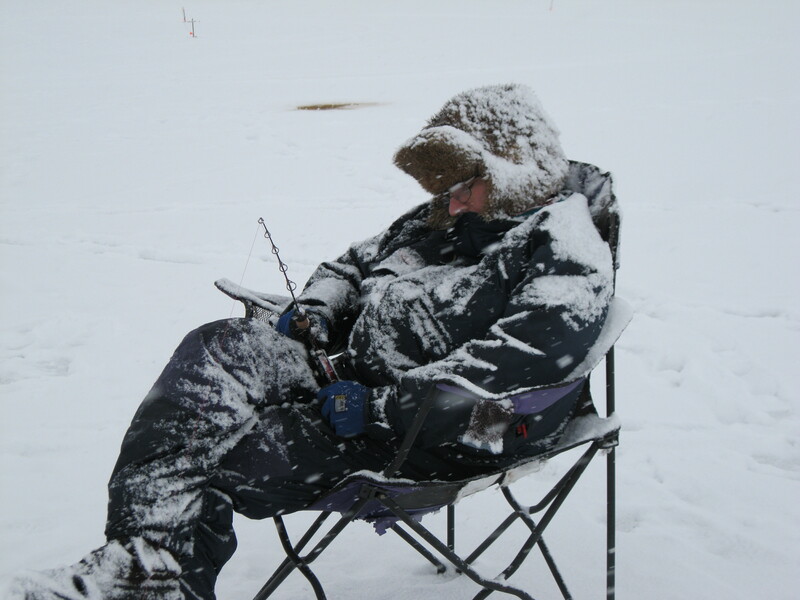 Much like great beer, ice fishing is all about the experience. So spend it with friends, good cheer and the good hours are bound to appear. 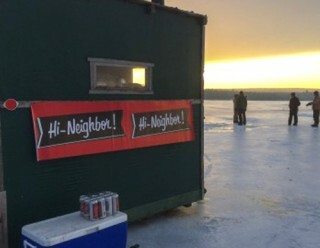 Hi Neighbor! 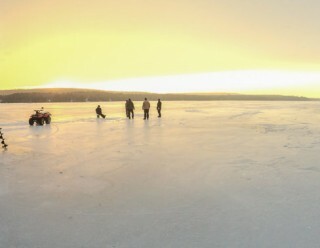 Photos by Jeffrey Adams and Stu F.